Therm-A-Rest's Centari sleeping bag is the cozy cocoon you want for frigid winter nights. Your bag stays warm without adding bulk thanks to their advanced ThermaCapture™ seams. The water-resistant eraLoft™ synthetic insulation is light, compressible and provides a high degree of warmth in the wet conditions commonly found in winter camping. 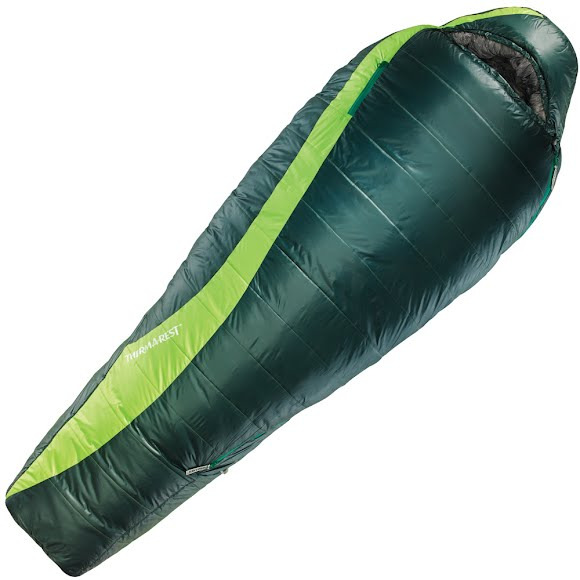 Therm-A-Rest &apos;s Centari sleeping bag is the cozy cocoon you want for frigid winter nights. Your bag stays warm without adding bulk thanks to their advanced ThermaCapture™ seams. The water-resistant eraLoft™ synthetic insulation is light, compressible and provides a high degree of warmth in the wet conditions commonly found in winter camping. Their SynergyLink™ Connectors also integrate the Centari with your mattress to ensure superior comfort with efficient warmth and the freedom to move as you like for the best night&apos;s rest possible. Stuff sack and storage sack included. Integrate the bag with a mattress for optimal comfort and efficiency; removable for versatility. Trap radiant body heat and retain warmth without adding bulk or weight. Maximizes warmth and saves weight while using eraLoft™ synthetic insulation. Customize your sleep system by layering our quilts or tech blankets for increased warmth. Ergonomic toe box that rapidly warms cold feet in a pocket of warm down.